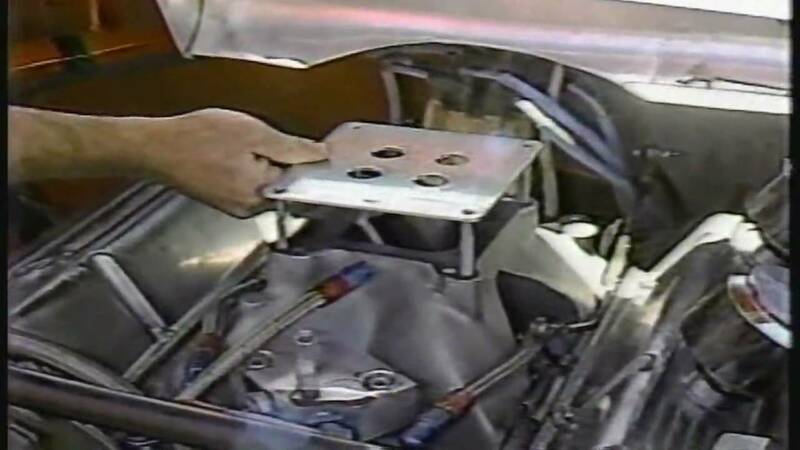 Restrictor Plates, the single most debated part in NASCAR history. Before we get into the list, here is a quick history lesson. Restrictor plates were implemented in NASCAR first in 1970. Big block engines were taking over NASCAR, so every engine above 358ci was to have a restrictor plate. 17 years later, they became widespread use. Bill Elliott set the average speed closed course record in qualifying for the spring Talladega race in 1987 at 212mph. In the race, Bobby Allison cut a tire at speeds estimated to be above 220mph, causing him to fly into the catchfencing. NASCAR debated options and eventually decided to implement plates at Talladega and Daytona. Met by backlash by drivers, but the plates are still used today. Since then, only 1 other race has used restrictor plates, the 2000 Dura Lube 300. After the deaths of Adam Petty and Kenny Irwin Jr. at New Hampshire, the 1 Miler used restrictor plates at the 2nd race there of the 2000 season. Jeff Burton led every lap, causing NASCAR to ditch the plates at New Hampshire after 1 race. The last time anyone has tried to run without a restrictor plate was in 2004. Rusty Wallace ran a test at Talladega and hit an average speed of 228mph around the 2.66 mile facility, many estimated that he hit 235mph at the end of the front straightaway. No one has attempted to run without a restrictor plate since. As you can see, plates were met with massive backlash. After 6 hours of rain delay, the race was threatened by darkness, causing the race to be decided on a maximum of 1 Green-White-Checkered Finish. Driving for the underdog team Front Row Motorsports (The NASCAR Equivalent to Manor) teammates David Ragan and David Gilliland pushed through the pack and to the front. Ragan won, and the race is highly regarded as the best restrictor plate race with the new “Generation-6” cars. By the time race was over, the lead had swapped 30 times and the race was engraved in everyone’s mind. One of the best plate races, was one of the first. Darrell Waltrip had dominated the day, leading 123 of the 188 laps run, but fell out of contention when his engine expired with 26 laps to go. This left a free for all between Dale Earnhardt, Sterling Marlin, Rick Wilson, Ken Schrader and Geoff Bodine. Schrader came out on top. The race, once again, had 30 lead changes. The attention factor is only increased by the work had to be done by the drivers to win the race. The only thing you can do is enjoy. 88 Lead Changes between 29 Different Drivers, 3 and 4 abreast racing, and a Photo Finish. The 2010 Aaron’s 499 was everything a restrictor plate race could be, but even more! The race came down to the 3 Green-White-Checkers NASCAR had implemented for that season, but the leaders Jamie McMurray and Kevin Harvick were short on gas. By the time they reached the last lap, they were running on fumes. I posted the full race of this one, because it is absolutely worth it. You might be thinking, how can a race with ONLY 47 Lead Changes top one with 88, well this one is better because the drivers had to DRIVE the cars. With 31 year old pavement at the Daytona International Speedway, the drivers had to be up on the wheel for all 400 Miles, with no rest. And the drivers raced each other, hard. 3 of the passes for the lead involved 4 abreast racing, 18 drivers traded the point, all while being sideways and really working the cars. I included the 14 minute race recap, because I couldn’t find a full race replay, but if there is one, please link it. I would highly recommend watching the full race. This isn’t in the list because it was not a race sanctioned by NASCAR, but it is the best final lap of any race I have ever seen. I don’t want to spoil, but 5 drivers held the lead at some point on the last lap, and the lead switched 8 times in the last 3 Miles. Just watch. 49 Lead Changes, an average speed of 165.681mph over 500 miles, and a finish to remember forever. With 4 laps to go, Dale Earnhardt was 18th, kindly, he asked Kenny Wallace to give him a push, and he did. Earnhardt and Wallace dug through the pack, and with 2 laps to go, they came out 1st and 2nd. The race saw an unbelievable amount of lead changes, unofficially (Not at the start/finish line) there were 92 lead changes (according to Fox Sports). Watching this race is a must for any motorsport fan. Grab your popcorn, your in for a ride.